In the 17 years since the attacks of Sept. 11, 2001, U.S. law enforcement has prevented another large-scale terrorist attack on the homeland. The militaries of the United States and its allies have relentlessly pursued terrorists overseas, killing Osama bin Laden and dismantling the Islamic State. Despite these achievements, the global struggle against extremism is not over. In the past five years, over 150,000 people have been killed in terrorist attacks, six times the number killed in the five years following Sept. 11. Since 2001, attacks worldwide have increased fivefold. From the Sahara Desert to cyberspace, Islamist militants continue to find innovative new ways to extend their reach. They have established a presence in more places than ever before and govern territory in close to a dozen countries across the Middle East and Africa. Fourteen years after the 9/11 Commission that I chaired issued its final report, Congress has tasked the U.S. Institute of Peace with developing a plan to “prevent the underlying causes of extremism” in fragile states in the Sahel region of central Africa, the Horn of Africa and the Middle East. I, along with the former U.S. Representative Lee Hamilton, the vice chair of the commission, have agreed to lead this effort to fulfill the one unmet recommendation of the 9/11 Commission: to prevent the continued growth of Islamist terrorism. Preventing the spread of terrorism requires a realization that terrorists cannot be defeated only by force. Preventing the further spread of terrorism requires a realization that terrorists cannot be defeated only by force. Rather, the United States needs a preventive strategy to mitigate the political, economic and social causes of extremism. This strategy contains five essential elements. First, the United States needs to reorient current spending toward programs that address the underlying causes of extremism. The United States has already spent close to $6 trillion fighting terrorism, the vast majority on military and law enforcement operations. 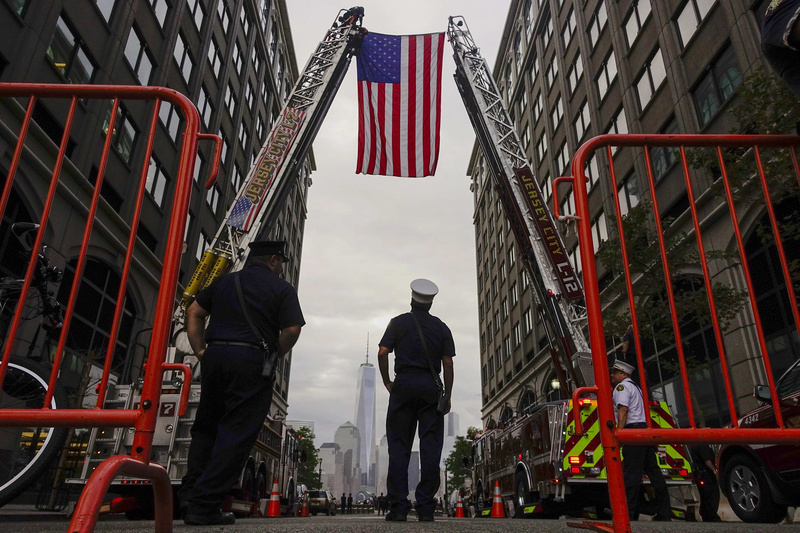 The calls in the initial 9/11 Commission Report to confront the growth of extremism by expanding educational opportunities, fostering economic development and encouraging more open, tolerant societies have gone unheeded. Even in countries where extremists have established a presence, an overwhelming percentage of U.S. development spending goes to public health and disaster relief rather than programs that engage vulnerable youth, promote women’s leadership or empower civil society. Second, the United States should prioritize targeted, locally owned programming, which shows promise in dissuading individuals from joining terrorist groups. In 2010, a U.S.-funded program in eastern Afghanistan recruited upstanding young men and gave them training and funding to design and implement projects that they—rather than foreign technocrats—thought would improve their community, like building dams or terraces. In areas where this program was implemented, insurgent strikes plummeted, even as attacks spiked across the rest of Afghanistan. In Somalia, another U.S.-funded effort to provide secondary education and opportunities for civic engagement to vulnerable youth caused support for and participation in political violence to plummet by as much as 50 percent. The U.S. should prioritize targeted, locally owned programming, which shows promise in dissuading individuals from joining terrorist groups. Third, the United States needs to reform the way it delivers and implements foreign assistance. Current U.S. assistance toward fragile states does not prioritize the right programs and is heavily earmarked, poorly monitored and fragmented. Security assistance to enhance the capacity of repressive, exclusionary regimes to commit violence is often prioritized over longer-term efforts to foster more meaningful reforms that can build peace. Changes to the federal bureaucracy are needed to better enable the United States to set priorities, commit to more predictable funding and hold both itself and fragile state partners accountable for progress. Deployment to Iraq changed my view of God, country and humankind. So did coming home. Fourth, the United States needs to better leverage the efforts of other donors. Geographic proximity and the migration crisis have caused European countries to commit billions to confront extremism in the Sahel. The Gulf States, too, are becoming increasingly active in efforts to curb extremism. Nevertheless, existing global efforts remain poorly coordinated and rarely follow best practices. The United States should become more active in global efforts to unite donors and recipients around a common agenda. Fifth and finally, the United States needs to act with decisive leadership in a time of rising geopolitical uncertainty. Major global and regional powers such as China, Russia, the Gulf States, Turkey and Iran are more active in the region than ever before, and growing strategic competition among them is a major cause of the recent rise in extremism. High-level diplomacy is needed to mitigate the potential for further outbreaks of conflict that extremists will exploit. Implementing this preventive strategy will be hard. There will be setbacks, and, by definition, a strategy designed for the long haul will take some time to bear fruit. But after 17 years of an approach that has created more terrorists than it has killed, the United States can ill afford to wait. I'm interested, given this is being published in America Magazine,that nowhere is there any thought given to using Religion, Interfaith dialogue, Ecumenism, Koinonia, call it what you will, as a tool to confront and stop extremist thought. Seems to be a whole area that's missing? Whatever happened to Evangelization in you list? - bringing the teaching of Christ to a desperate people, and to once Christian lands. That whole are is missing as well. The Jesuits used to excel in this kind of heroism. Have you read the religious scripture or its equivalent for the majority that practice terrorism? A waste of money, completely. The elements of active terrorism make up a small percentage of Muslims, yet the percentage of their co-religionists who support suicide bombings and other terroristic tactics are quite prevalent in the MidEast and elsewhere -- see the Pew organization data. Get the price of oil down to $20/bbl and you'll see the financial support for the most extreme elements collapse in toto. what do you mean by "co-religionist"?--they both support Islam and its many interpretations, including sharia law and the mandate to get rid of the infidel-i.e the West. Hard to tell the good guys from the bad guys. Foreign affairs and terrorism are not subjects that I know much about. Nevertheless consider that 72,000 Americans a year die from overdosing drugs and major cities like Chicago and Philly are virtual war zones for teenagers trapped in lower income areas, I suggest that "zero based budgeting" be used for all foreign aid programs sponsored by the United States. It sounds like we have spent 17 years throwing money at problems overseas that we don't fully understand. The US has tried to assist folks overseas, some or many of whom would rather have the US pack up and leave. Tribalism still reigns in much of the world, and boundaries for some countries do not reflect the ethnic makeup of populations. Meanwhile domestic needs for the poor in our own country are pressing. We would have been better off letting the Russians win their war in Afghanistan. The phenomena today is that some who culturally want to live in the seventh century A.D. also want smart phone access to the world wide web. thank you Gov Kean--I think your point #3 is the most important--we are not prioritising our goals and throwing good money after bad. Saudi Arabia spends 100s of billions building mosques and madrassas that spread their extremist intolerant form of Islam--Salafist Wahhabism. For decades, this #GlobalWahhabization has caused wars and conflicts in Europe, Asia, and Africa. The world can no longer afford to tolerate Wahhabist intolerance. The article keeps repeating "Islamist terrorism" "Islamist extremism" as if that's actually the only form of terrorism. Ultra-nationalist terrorism is increasing worldwide. And so-called 'States' still commit the vast majority of terrorism. And that leads to my next point- you haven't defined your terms first, which is essential for a serious article on this topic which is so often politically confused in order to justify targeting any political opponents without being expected to justify necessity or proportionality of use of force. Anyone targeting civilians with serious violence for political reasons is a terrorist. Coordinated, widespread or systematic police brutality for political reasons is terrorism. Putative 'States' targeting civilian political opponents are terrorist regimes. Once you remove the prejudicial and artificially narrow concept of 'terrorism' = Islamist extremism, what you count and relatively how big a proportion Islamist terrorism is reduces. We should also have a reasonable definition of 'Islamist' - when you say that word without a clear definition, probably more than half your audience don't know how to distinguish Islamist from Muslim, and I think probably about 99% of people repeating the word 'Islamist' don't even have a clear idea what they mean by it themselves. The concept of 'Islamist' should be situated realistically and honestly in its own historical context, which is the neocolonial tyrannical client regimes in the ME and how they suppress any civil society organising as much as they can, but they only can't fully suppress civil society association in religious contexts. So it's inevitable that the main opposition to those 'secular' nationalist tyrants would be initially organised in religious spaces, because it wasn't permitted and was more consistently crushed sooner in any other civil society space. The colonialists who set up the nation-States in the ME created nationalism as a divide and rule strategy to keep each nation they invented weak enough to carry on dominating and exploiting them; then the tyrants their successors have continued to support "for stability" or "counter-terrorism" have also used sectarianisation and other divide and rule strategies for decades. So it's obviously reasonable that in order to counter them people feel a need to reach for a universalising ethos, and the one available is Sunni Islam. Be fair to the other side if you want to truly understand them and have a chance of really making just and lasting peace. 'Islamist' if it is in the sense of believing religion still has a legitimate role in public life, not only privatised, individualised and reduced to just a consumer choice, should not be excluded. And before you blame people for turning to poorly educated conservative reactionary forms of Islam to give them a sense of a bigger political community that could potentially overthrow the tyrants imposed on them by foreign State and big business support for the tyrants, consider what happens when our States have maintained those tyrants in power and the tyrants of necessity suppress public education on subjects which could lead to people thinking as persons not just as terrified sectarian or ethnic communities. Stop doing business with tyrants. It is never worth it. We should initiate international legislation to make it unprofitable to do business with tyrannical regimes by harmonising international fair contract law with the best practice examples of fair contract regulations in domestic laws around the world. Stop buying into tyrants' stories about how they are necessary to counter 'the terrorists' - they create the conditions for terrorism to emerge and they maintain a level of terrorism in order to maintain the appearance of their own necessity. Instead, support free civil society associations and organisations globally, especially those which their own communities look up to for moral heroism and identity and community cohesion and resilience. Initiate international legislation for a reasonably objective legal definition of what is and is not a representative 'State', and stop treating unrepresentative regimes or privatized extractive 'States' as if they were representative and legitimate when they are clearly not. 'If you want peace, do justice.' as Karol Wojtyla said. This article also appeared in print, under the headline "To support and defend: The fight against extremism is not over," in the January 21, 2019 issue. Tom Kean, the former governor of New Jersey, served as the chairman of the 9/11 Commission.